We tend to think of negotiation as an activity reserved for certain momentous occasions like landing a new job or closing a big customer. Or we consider certain people to be experts at negotiation, like attorneys, while the rest of us muddle through it. But the truth is, we all engage in small negotiations every day. We may not even realize we’re doing it. “They can drive career success and fulfillment and also have the potential to spark positive organizational change,” Kolb writes. If we consider how much we can gain for ourselves by being more intentional, effective negotiators, then it stands to reason that we try to hone our skills. The following are some considerations to keep in mind when making those routine, yet critical, moves at work. 1. Take advantage of opportunities to negotiate. Be on the lookout for times when it can be to your advantage to not just accept what’s presented, but to negotiate. For example, if your boss asks that you spearhead a difficult project, recognize that this could be a good opportunity to ask for something you need to make it successful. Be opportunistic and also artful. 2. Know your value and show it. Confidence is key to any negotiation. Part of this confidence should come from knowing the value you bring to your company and team. Spend time up front getting clear with yourself about what your unique contribution is to the organization or the team. You may benefit from practicing your points out loud so they flow. If you come into a negotiation self-assured and ready to talk about your value, then others can better recognize this worth too, and be more likely to reward you for it. 3. Equip yourself with alternatives. First coined by Roger Fisher and William Ury in the book, Getting to Yes: Negotiating Without Giving In, BATNA stands for Best Alternative to a Negotiated Agreement, or your best option if the negotiation falls through and you don’t get what you want. For example, if you ask for a promotion and your boss says no, then your backup may be the status quo or leaving to take a new job. Once you know your backup, you then have to ask yourself: “How happy am I with that alternative?” Ultimately, knowing your options puts you in a smarter bargaining position. Ideally, you want to have an agreeable BATNA, which gives you the upper hand. With a win either way, you can be more aggressive in your negotiations and concede less to your partner. You also want to consider the other person’s BATNA. Using the above example, if your boss doesn’t promote you, and you do leave, perhaps there are two other candidates ready to jump into your current role. That means your boss has a solid BATNA, and may not move very much in negotiations. 4. Start on the offensive. 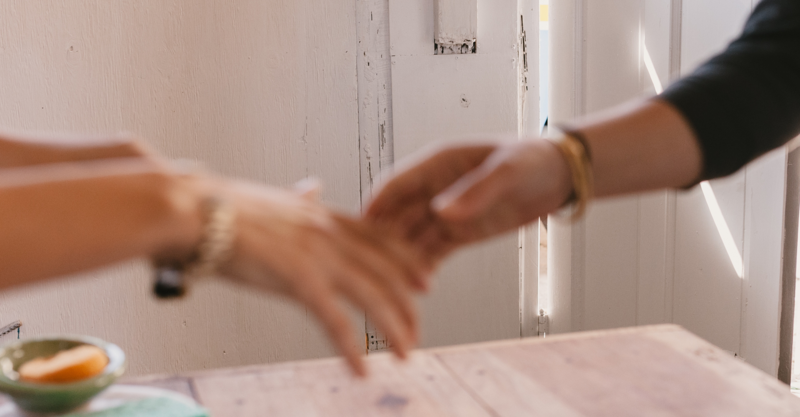 Studies have shown that being the first person to make an offer, or what is called anchoring, leads to a better end result for the instigating negotiator. “Whoever makes the first offer essentially drops an anchor on the table,” says Leigh Thompson, a professor at Northwestern University’s Kellogg School of Management. “I might say that your opening offer is ridiculous, but nevertheless, unconsciously, I’ve been anchored.” Making the first proposal establishes the range of possibilities, and once that’s set, it’s not likely to shift dramatically from your anchor. The lesson here is that you shouldn’t be afraid to open negotiations. If you truly want something, your best position is to take the initiative. All the more reason to negotiate early when the situation is right, and go in from a position of value and strength. Kristi Hedges is a leadership coach, speaker and author of The Inspiration Code and The Power of Presence. She blogs at kristihedges.com. This post also appears in Forbes.com.